Anniversary feature Today marks the 80th anniversary of the first patent filing for a magnetic tape recording medium, though the tech I worked with was a bit more recent than that. Still, it has been quite some time since I last went shopping for tape. I recall the last time as being a deal on a load of JVC miniDV cassettes that I still haven't worked my way through. So my browsing for analogue reels from a bygone era was surprisingly saddening. Like a stroll down a small town high street, where were those names that I used to know? Ampex, BASF, 3M, to name a few, were once essential ingredients in music making. You want the best 16 or 24-track recording quality? Haul a 2-inch tape onto the deck, lace up and away you go. If only it were so simple... as an assistant recording engineer (sounds slightly more sophisticated than a tape op) my mornings would begin with lining up the studio multitrack. I learned on a Soundcraft SCM 760 – which meant grubbing around on the floor with a trimmer and more often than not having to replace trimpots that had suffered from too much tweaking. I preferred Studers myself – all the controls for bias, gain and frequency were at eye level alongside the metering. They were big beasts, but built to last. So after cleaning and demagnetising the tape heads, out came the line-up tape. This selection of low-, mid- and high-frequency tones was a reliable measurement of magnetic flux (specified in nanoWebers per metre, or nWb/m) used as reference. After some tweaking, you'd set up the record side, which involved recording your own test tones and – because recorders had two heads – one sync and playback – you'd make adjustments to the record head gain, while reading it from the playback head. Anyway, the idea of the line-up was to ensure that the recorder was optimised for the tape you were using. Not only could the tape formulation be different, but the recorder itself being analogue, it would drift a little and suffer wear too. Tape heads would eventually fall foul of friction and an uneven surface would need compensations long before the expense of a new headstock was considered. I began my working life at GCHQ - Government Communications Headquarters – involved in experiments on one-inch tape under the auspices of recording boffin Roy Pagel. The research into The Abrasivity of Magnetic Tape in Varying Conditions of Humidity and Temperature was designed to address the problem of tape head wear in different environments – for “environments” read “countries”. Tape formulations varied from manufacturer to manufacturer, so maybe an Ampex tape would wear better in Hong Kong and BASF might run smoother in Belgrade. It should come as no surprise that GCHQ would want to record telecommunications broadcasts – the clue’s in the name, after all. Back in the day I was running tests on SE Labs 14-track analogue instrumentation recorders. They could run at up to 240 inches per second - that's 20 feet spooling in front of you every second, 400 yards a minute, or close to 14mph. By comparison, a cassette tape at 1⅞ ips crawls along at 0.1mph: 2.4 miles per day. The tests I was involved in ran at more moderate speeds and utilised a dummy head – its wear being measured by gradual changes in electrical resistance. The recorder itself was housed in a makeshift environmental chamber. The results are lost in the fog of memory, and you'd probably need to put in an FOI request to view them, so why am I wandering off on this tangent? What I’m endeavouring to highlight are the shortcomings of analogue tape recorders both in terms of the medium and its impact on the components. It’s a problem that has dogged magnetic recording from its earliest days. The advent of digital recording – used for data, audio and video – has seen these issues minimised in a number of ways that will be looked at later. One of the earliest attempts at audio capture goes all the way back to the smoke-etched recordings of Edouard-Leon Scott de Martinville in 1860, whose work enabled the first visual analysis of sound, although the possibility of developing a playback device evidently hadn’t occurred to him. However, playback of these early experiments has been made possible recently and can be heard on the historic audio site, First Sounds. Edison cottoned on to the idea of recording and his method was to use a pin mounted on a sonically sensitive diaphragm to capture sonic undulations. 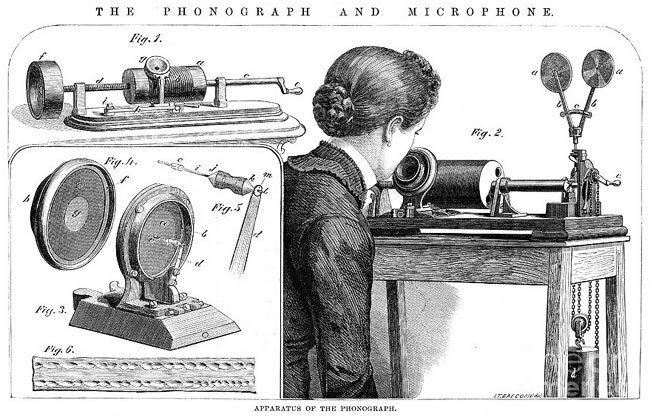 The pin made impressions in a rotating tinfoil cylinder and the grooves created could then be played back from the same device – thus was the phonograph born. With a few refinements and format changes along the way (cylinder to disc, mono to stereo - even quad), we find sound reproduction from vinyl records produced today works in much the same way. Numerous variations on the theme of stylus and groove appeared as the 20th Century drew near, but all in all these were WORM devices - write once, read many. Commercial cylinder and disc production began in earnest with the major preoccupation being experiments in materials used that could withstand wear and minimise surface noise. Edison continued to refine the cylinder until giving in to the flat disc in 1913. While his format may have failed, his work did bring about the use of a diamond stylus. The first Volta Labs recording was deposited at the Smithsonian Institute by its makers at the time. The disc came about from the experimental efforts of Charles Sumner Tainter at the Volta Lab in 1881 – he made a disc recording but couldn’t play it. Emile Berliner worked on producing discs, initially for toys, and formed Berliner Gramophone. The quality didn’t match Edison’s cylinders but he is credited with the format’s development. Eldridge R Johnson worked for Berliner and tackled the problem of creating a constant speed turntable. Johnson went on to form the Victor Talking Machine Company and later acquire Berliner Gramophone. While various techniques have evolved, the idea of pressing a record – stamping the grooves into a disc – had now been established to deliver mass production of sound recordings. All well and good, but for content creators and consumers alike, this music on demand arrangement was a one way street. In these early days, beyond the master recording, the only thing you could do with the record was play it. It couldn’t be edited, let alone erased and re-recorded. It was American engineer Oberlin Smith who, in the summer of 1878, first put forward the idea that magnetic media could be used to capture audio content. He’d met with Edison some six months earlier and was perturbed by the scratchy noises accompanying cylinder recordings. His initial idea was to use metal wire and indent it in a mechanical fashion akin to the grooves on cylinder recordings. When the audible scratchy noises appeared with this method too, he hit upon the idea of using magnetism to deliver the change of state that existed in undulating grooves. It was another 10 years before Smith’s ideas became known when he wrote an article in 1888 for Electrical World magazine – PDF here. Furthermore, Smith, a consummate technical author, brilliantly outlines the fundamentals to be observed for magnetic recording in his 1888 article. Given his patent in 1898, Danish inventor Valdemar Poulsen is often credited with being the founding father of magnetic recording, emphasised by virtue of the fact that he actually built a working device and Smith did not. 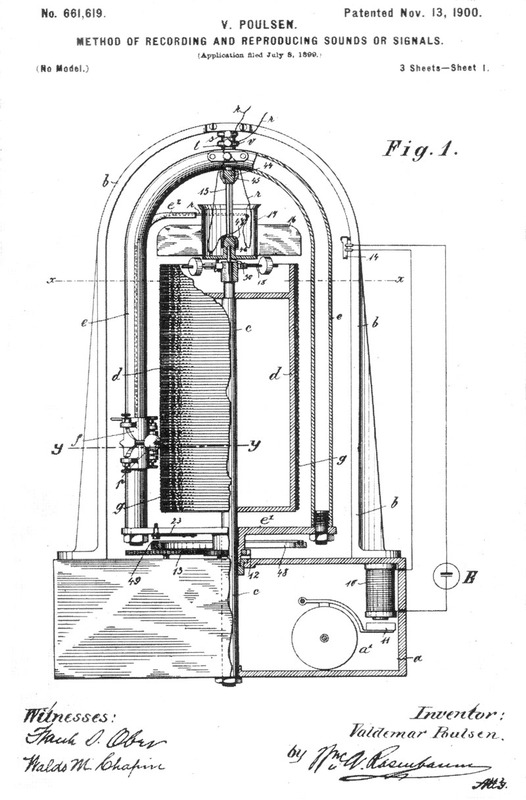 Poulsen's Telegraphone steel wire recorder made its debut at the Paris Exposition in 1900. Speculation varies as to whether Poulsen ever saw Smith’s Electrical World article – even in Europe it was to become required reading in academic circles – or the Memorandum and Caveat he filed with the US Patent Office in 1878 detailing his work. As Poulsen gained recognition as an inventor, Smith set about putting the record straight. Although Smith did succeed to some degree, Poulsen cast a long shadow over Smith's place in the sun. Yet somewhat fittingly, in 1913 Emile Berliner publicly stated that Oberlin Smith was real inventor of magnetic sound recording. While Smith had misgivings about the "depraved" way magnetism would propagate along solid wire, Poulsen believed that the use of hard steel might enable varying levels of magnetism to be carried along its length. 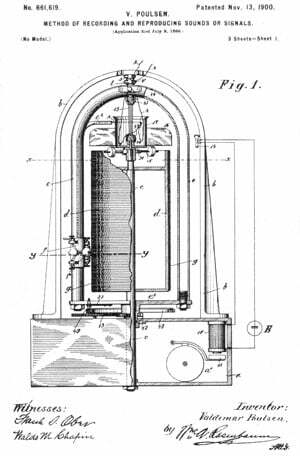 His invention bore some similarities to Edison’s phonograph as it also used a cylinder but rather than being coated with tinfoil, Poulsen’s Telegraphone had wire wrapped around its brass core. Instead of a stylus embossing metal film, a current running through the microphone to an electromagnet did the job invisibly. 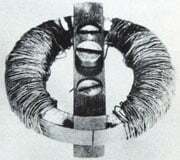 The variations in the magnetic field were captured in the wire as the drum rotated. For playback, the electromagnet was deactivated and the microphone detached and replaced with a telephone earpiece driven by the magnetism from the spinning wire drum, as there was no amplification. What made the Telegraphone even more impressive was that the magnetic media could be erased and new recordings made. At the time, it was assumed the Telegraphone could replay recordings several hundred times, yet it turned out that the media was far more robust, clocking up playback over hundreds of thousands of times without significant degradation. Despite its sonic superiority – no clicks and scratches and a more natural sound – the louder, cheaper and more reliable phonograph gained popularity. The early 20th Century became littered with experiments in sound recording, where magnetic (rather than mechanical) techniques flourished. The recorders were typically built around wire or solid metal tape formats and there are far too many to list here. Yet for a taster, check out the Audio Engineering Society’s historical section which features extracts from the work of Semi Joseph Begun – an innovator in tape recording – whose 1949 book Magnetic Recording: the ups and downs of a pioneer documents the development of the early recorders. 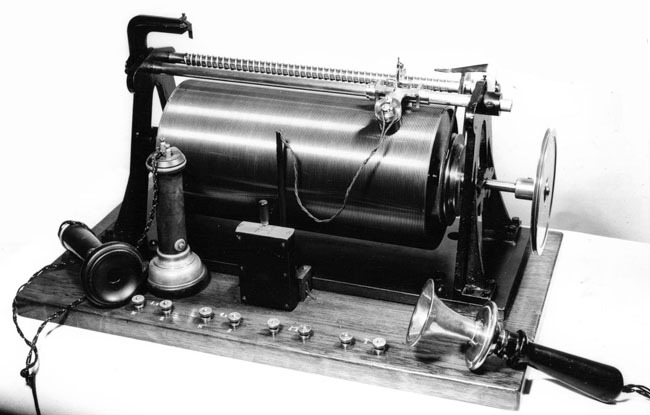 The relatively low output and issues with the signal to noise ratio rather stilted the acceptance of magnetic recording – although Poulsen's patents in the hands of American Telegraphone Company found favour as dictation machines. The development of valves (vacuum tubes) for amplification and the application of AC bias improved matters enormously. The latter hailed from the US Naval Research Laboratory, being an invention of W.L. Carlson and G.W. Carpenter in 1921 that other inventors around the world would discover or revisit over the following 20 years with Walter Weber being a notable developer of this technique. AC bias adds an inaudible high frequency (typically from 40kHz to 260kHz) to the audio signal. Its presence helps overcome the inherent resistance magnetic media has to becoming magnetised – a non-linear response – and this allows recording to occur on the more linear region. If you want to brush up on your physics, you can read more about hysteresis loops and coercivity here [PDF]. The extreme usage of AC bias current can either minimise distortion (highest bias) or deliver a broader frequency response (lowest bias). Pro audio gear always errs towards the low distortion option – the old Otari MTR-90 studio multitrack had a bias frequency of 257kHz – whereas consumer products, such as the compact cassette, work on a compromise setting of around 70kHz-105kHz. With magnetising recordings now a pushover thanks to AC bias and amplification able to demonstrate these improvements still further, the remaining area in need of refinement was the media itself. 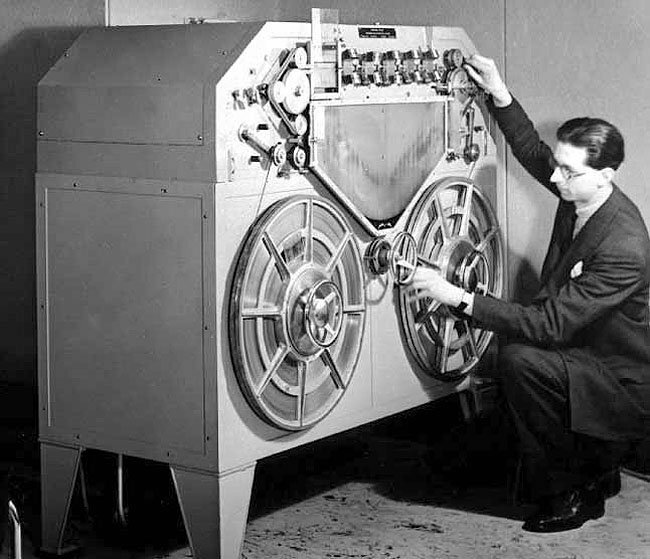 DC bias had been tried without the same level of success on machines including the Blattnerphone which was to become the BBC’s first tape recorder following trials in September 1930. The corporation was keen to find ways to repeat new broadcasts throughout the day in different time zones for its forthcoming Empire Service. The machine had reels of steel tape 6mm wide and 0.08mm thick that weighed 21lbs and would run at 60ips, clocking up 20 minutes of recording time. This potentially lethal razor tape required careful handling and although the BBC had two in service by 1932, the Blattnerphone was only considered suitable for speech. A home-made 3mm British Blattnerphone appeared but was mechanically noisy and suffered speed fluctuations, despite being more reliable and better built. So when Marconi bought the rights to the Blattnerphone, the BBC requested a redesign that would feature a direct drive with a swift run-up time, fast rewind and quieter operation. The Marconi-Stille recorder was the result that, according to BBC engineering landmark listings, was bought into service in 1934. 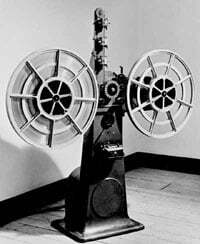 It continued to use 3mm steel ribbon yet introduced two tape reservoirs, which in combination with three motors driving feed, speed and reel take-up, facilitated the fast start the BBC needed. Edits could be performed on the tape – a spot welder was built in – yet increased the chances of breakages. Too many edits could even damage the dual pole heads as the joins in the tape rolled past. The Swedish-made steel tape, containing chromium and tungsten, was hardened, polished and supplied in 1000m drums. The BBC would join them together to create 2700m reels giving 30 minutes of playback time. These were so heavy, weighing in at 15kg, that two people were needed to change them – using a block and tackle was a serious consideration. The aim was to produce a recorder with a 45dB signal to noise ratio (SNR), but as the BBC’s own R&D report from 1937 shows, getting figures of a 35dB SNR appeared to be a good achievement, along with a frequency response of 50Hz to 5kHz, ±2dB. 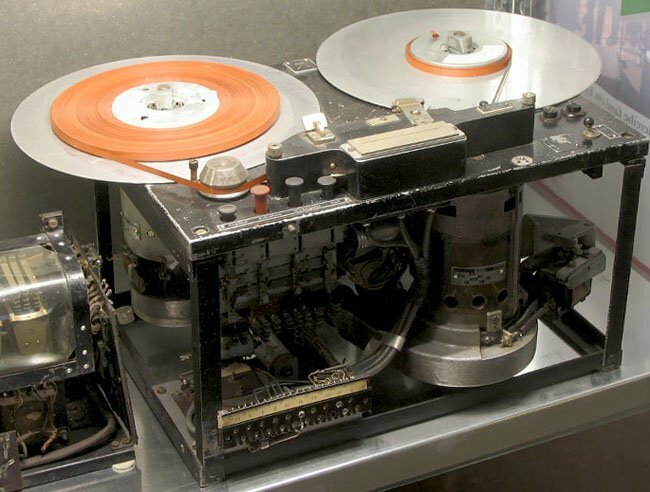 The broadcaster continued to use the Marconi-Stille recorder into the 1950s but given its double speed rewind, that spooled this razor ribbon at 120ips, these wheels of steel were kept in machine rooms for self evident safety reasons. For a fascinating exploration of these recorders then look no futher than Roger Beckwith's Old BBC Radio Broadcasting Equipment and Memories site. Steel tape was heavy, metal wire could tangle and neither were exactly cheap. 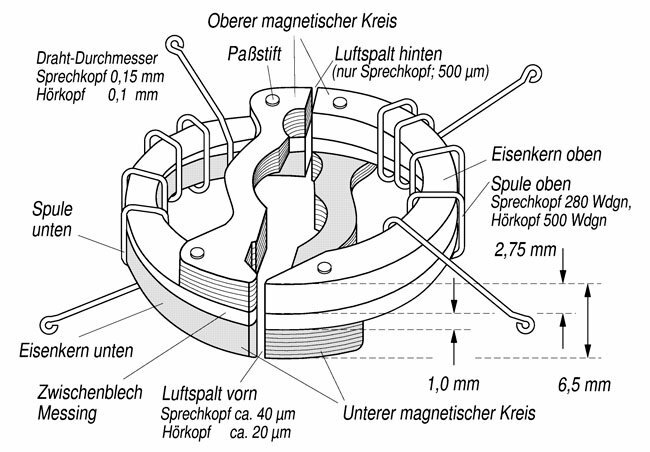 Increased speeds did improve quality but it was the work of Austrian Fritz Pfleumer, who in cooperation with AEG, developed magnetic tape – a concept that although refined, is essentially unchanged in 80 years since his 9th September 1933 patent – DRP 649 408 Magnetogrammträger (Magnetogram carrier). Initially, Pfleumer’s inspiration was drawn from his work at cigarette manufacturer Universelle. The company had tried unsuccessfully to apply thin metal bands around filter tips. Gold was too pricey and the bronze powder that was used instead would come off on the smoker’s lips. It was up to Pfleumer to develop a superior coating technique that, all in all, involved finer bronze particles and developing improved adhesion using a lacquer on the cigarette paper. The story goes that he was on a business trip in Paris in 1927 when the thought occurred to him of adapting those shiny butts for recording purposes by using steel powder instead. His early experiments utilised sugar or molasses to formulate a soft caramelised magnetic coating of steel particles on a non-magnetic paper backing tape. Besides being more economical than the solid metal alternatives of the time, Pfleumer’s tape was easier to manage too. Not only was it lighter, but could be cut and stuck together again with the minimal of fuss. In 1928 Pfleumer, an audiophile since his teens, built his own sound recorder and hawked it around various newspapers in Berlin. His audience also included technical experts and despite impressing them with the sound quality, long recording times and easy editing, there were no takers. Evidently convinced of the merits of his endeavour, he kept up his work, visiting companies and publications in other German cities for another three years. During that time, he began discussions with AEG, Siemens and chemical firms too. On 8th June 1932, AEG took out an option on Pfleumer’s work for six months which was later renewed for a further 18 years. With various rights and licenses in the bag, the research at AEG began in earnest. As the company celebrated its first 50 years in the autumn of 1933, the first fully functioning “Magnetophon” prototype was unveiled to staff spooling tapes made to Pfleumer’s specification and developed in AEG’s labs. 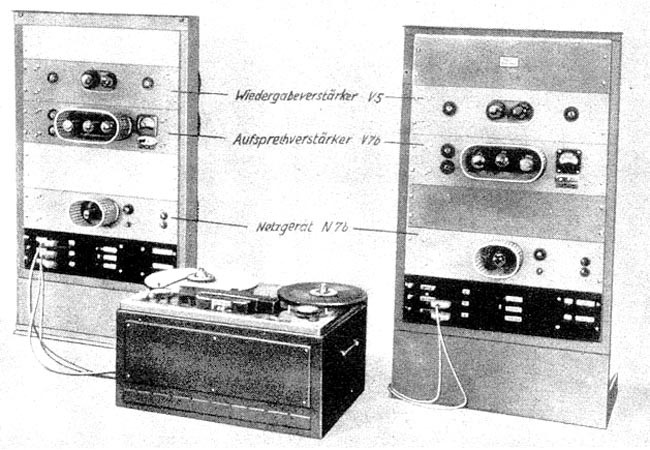 In 1935 the company would publicly present the K1 at IFA. However, tape production on an industrial scale was beyond AEG’s comfort zone and IG Farben was tasked with manufacture. For some time, the IG Farben Ludwigshafen plant had been supplying AEG with carbonyl iron for Pupin coils used in telecommunications, and this material replaced steel powder for the tape formulation. Eventually, iron oxides would supersede this magnetic material and in 1933 Pfleumer patented use of the black Fe3O4 and by 1935 moving to the more familiar reddish-brown gamma Ferric Oxide Fe2O3 that has endured for use on analogue tape to this day. The latter oxide also benefited from having smaller particles that made erasure easier from the permanent magnets utilised for this purpose. It took until the early 1970s for chrome dioxide tapes to appear and deliver a noticeable improvement. At IG Farben, Friedrich Matthias was working on a complete manufacturing process to deliver a durable base tape that was to be coated with magnetic material. Paper was prone to tearing and so an acetate base was developed that was 30µm thick with a 20µm coating – not far off what became the manufacturing norm. It was created in 60cm wide sheets spread over a 28m long belt that helped facilitate drying of this layer of liquid cellulose acetate, which was then treated with a binding solution of acetone, cellulose acetate and, in those early days, carbonyl iron. After rolling onto a drum the tape was sliced into 6.5mm wide strips. One source says 1000m of tape running at 1m/s would deliver eighty-four 16 minute tapes, although the figures suggest 64 tapes of around 15mins 37secs would result. All in all, this production process took around 6 hours, speeding up in modern times to 1000m per minute. Cellulose acetate-based tape production continued into the 1960s, and despite being vulnerable to humidity and prone to breaking, remained popular as the breaks were clean and easy to repair. The tape didn’t stretch either, unlike some PVC alternatives introduced in the 1940s. Yet after a very good innings, polyester (Mylar) based tapes from the 1950s eventually usurped acetate’s reign. The AES provides an excellent overview of Germany’s tape production. The move to the Agfa plant in 1943 was due to an explosion at the IG Farben facility which afterwards began using PVC as backing tape. The BASF name appears as it was an original founder of IG Farben following a merger in 1925. The company was refounded in the post-war years following the dissolving of IG Farben for its war crimes – producing Zyklon B for the Nazi gas chambers. Also at AEG was Eduard Schüller, whose ring design recording head was patented in 1933 and formed the basis of analogue tape heads used to this day. Pfleumer had a similar head in mind too, which was patented a couple of years earlier. Both ideas focus on the use of a gap in the head between two poles in a magnetic circuit. 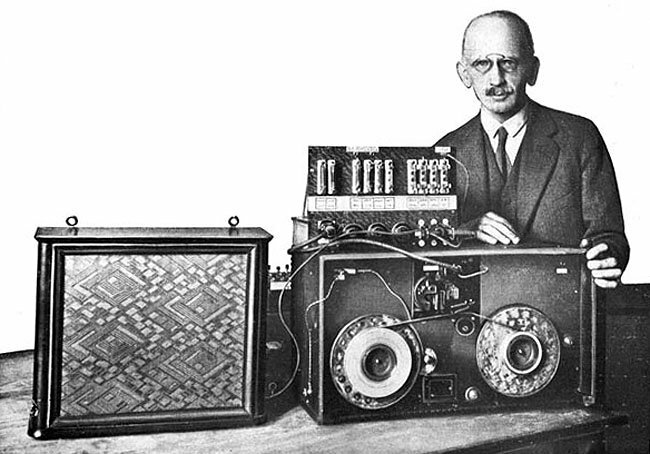 Schüller’s more elegant design was ideally suited to tape media and he had the idea to develop dual aligned heads too, which would enable stereo recording. The AEG team was working hard to find ways to minimise noise and improve the overall response of the Magnetophon, yet it was Walter Weber who delivered this breakthrough. Weber was a talented engineer at the Reichsrundfunkgesellschaft (RRG, German Broadcast Company) and had experimented with the dual heads to feed them different frequencies, in effect bass and treble. The idea being to overcome noise and improve the overall frequency response by separating the content this way. Other experiments led to Weber’s rediscovery of AC bias and fully realise its potential. No doubt his encouraging supervisor Joachim von Braunmühl and access to a Magnetophon to work on – rather than some unwieldy steel recorder – allowed his serendipitous discovery to manifest. Having noticed a dramatic improvement in noise and distortion characteristics following the accidental combination of high and low frequency signals, Weber set about analysing the cause, performing a range of high frequency biasing tests. With different recording characteristics presenting themselves with the application of AC bias, Weber refined his techniques to further improve sound quality by applying equalisation on recording and playback to deliver a flat frequency response. During recording, the audible high frequencies would be boosted and on playback the low frequencies would receive a corresponding level increase. For magnetic recording in this way, as the frequency gets lower, so does output by 6dB per octave. Also, having a high frequency boost during recording meant that noise on playback could be contained, as there was no need to amplify the high frequencies. 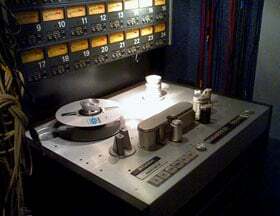 That’s what they discovered back then and that’s how analogue audio tape recording has been processed ever since. The dramatic improvements in performance of the Magnetophon didn’t go unnoticed by AEG that agreed to a licensing deal with Weber and von Braunmühl in 1941. Not only did RRG’s modified recorder have distortion down from 10% to 1.5% at 1kHz, its dynamic range was up to 60dB, although this reduced to 42dB on stereo recordings. Other improvements included the high frequency range extending from 5kHz to 10kHz and longer recording times due to a reduced tape speed from 1m/s to 77cm/s (30ips). As the technology improved, the speeds halved for some applications, with some of the portable Tonschreiber (sound writer) military recorders featuring variable speed from 120cm/s (48ips) down to 9cm/s (3.5ips). Indeed, speed was an issue but not just its effect on overall frequency response. The early K4 Magnetophons were prone to wow and flutter – erroneous variations in speed that all motorised analogue recording media can suffer to varying degrees. The use of synchronous motors made significant improvements, with the Magnetophon K7 being the first tape recorder to feature this drive arrangement back in 1943. The alliance between AEG and RRG saw earlier DC bias Magnetophons modified to feature AC bias and experimental stereo recorders were constructed too, but these never became production models. However, being a broadcaster RRG made around 300 stereo recordings – mostly of classical works – with some test recordings captured using pioneering Neumann microphones on an AEG/RRG 22a studio recorder in 1942. Most of these recordings are lost to the destruction of WWII, but tapes do have a habit of turning up unexpectedly. 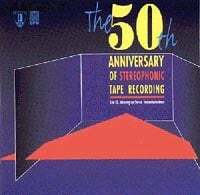 In February 1993, the AES produced a CD featuring surviving recordings from this period called The 50th Anniversary of Stereophonic Tape Recording. You can still get hold of a copy from the AES site, if you’re keen. The combined efforts of Pfleumer, Schüller, Matthias, Weber and, lest we forget, captains of industry at AEG and IG Farben realised the potential of magnetic tape recording over a period of around 10 years. Not only was ferric oxide tape around seven times cheaper than steel wire alternatives of those times, it was light, more compact, the media had longer recording times, was easy to edit and could be reused. The Magnetophon recorders weren’t too expensive either, and thanks to AC bias and synchronous tape motors, they had a superior sound – and in some cases, stereo sound.